The Costantino family has been coming to the DMA for years, and we’ve had the pleasure of watching the children grow up with art as a regular part of their childhood. Mom Rose is a homeschooling extraordinaire with a background in play therapy who brings her children to the Museum at least twice a month. When the Family Programs team decided to experiment with the idea of kids creating activities for kids, we knew just who to turn to! 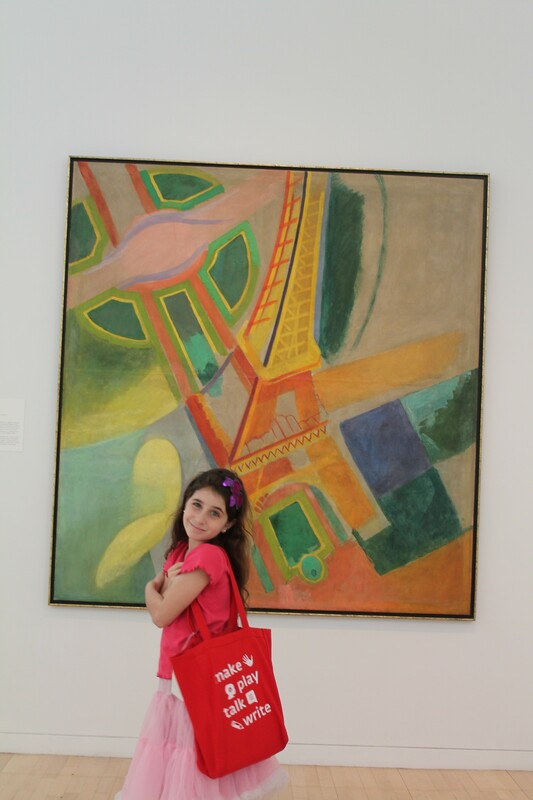 The Costantino kids (above, ages 10, 6, 3 and 8), stepped into the role quite easily and helped us create a brand new Art to Go family tote that will soon be available for all visitors to check out and use in the galleries while at the DMA. 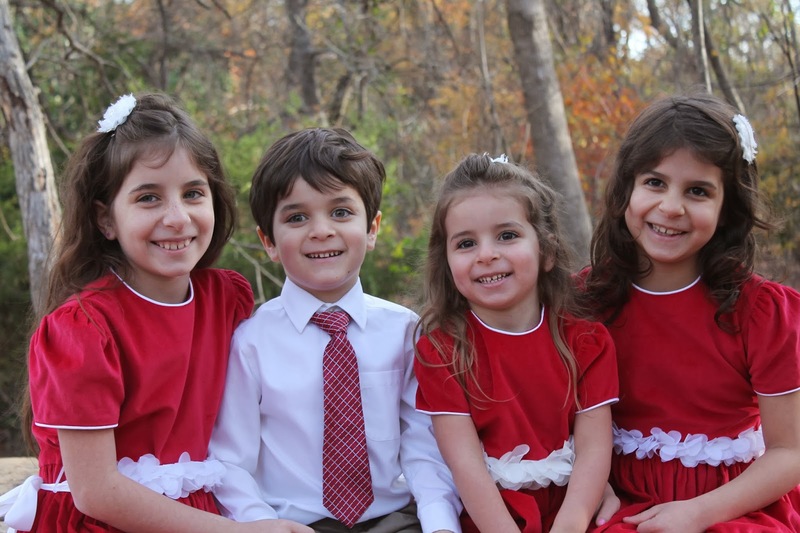 Here’s a peek into life with these fantastic kids from their mom, Rose. 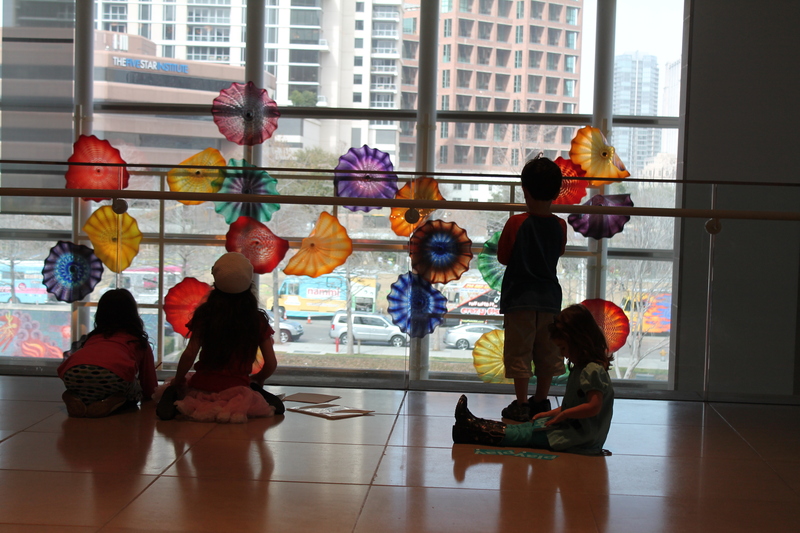 What was your first visit to the DMA with your children like? The first time I took all four kids to the Museum, I was overwhelmed. I was worried that they would touch something they shouldn’t or act completely crazy. We stayed too long that first time. It felt like such a victory to even get there in one piece, that I wanted them to see everything. What actually happened was the Museum guards were very nice and helpful. The kids loved all the different things to see. Then once we found Arturo’s Nest, we were hooked. The Nest is a super fun play room. It is a great way to end the day. Now that you’ve been coming regularly to the Museum for years, what has changed about the way you visit with your children? We talk about what we are going to see before we get there. I try and weigh everyone’s opinion. We all enjoy seeing a new exhibit. We might take 10 minutes to walk through–the kids are eager to see what’s around the corner, so we walk through quickly. The next visit we might go back to the same exhibit to look at just one piece. Not trying to see it all in one visit is the best way we have changed our visits. 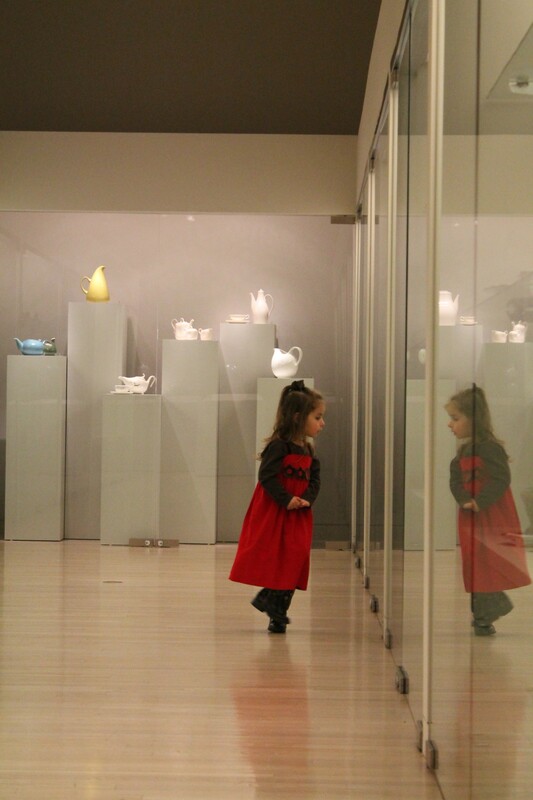 How have regular visits to the Museum influenced your children beyond the gallery walls? They have become so confident in any museum setting. They recognize artists and their work in a variety of places. And, they love creating their own works of art! I know your kids have seen many different exhibitions come and go here at the DMA. What have been some of their favorites? Some of their favorites include: The Body Beautiful in Ancient Greece: Masterworks from the British Museum, Nur: Light in Art and Science from the Islamic World, Jim Hodges: Give More than You Take, and The Fashion World of Jean Paul Gaultier: From the Sidewalk to the Catwalk. We specifically chose to feature your family as our “Guest Family Curators” for a new Art to Go Tote because we knew your children have a lot of experience interacting with art in a variety of ways. They know that there’s so much more to do at a museum than just stand in front of a painting! What was it like for you and the children to come up with ideas for other families to use in the Museum? We had a blast creating this bag! The kids had tons more ideas. Art for them is an extension of play. What piece of advice would you give to parents who feel like they don’t know enough about art to enjoy a visit to the Museum with their children? Don’t be intimidated! When you take your child to the art museum, try to let your child lead. Think broadly. Look for colors, shapes or themes. Walk around and see what your child is drawn to. Take some of their ideas and try them out at home. Enjoy yourself and your family! Thanks for sharing, Rose! 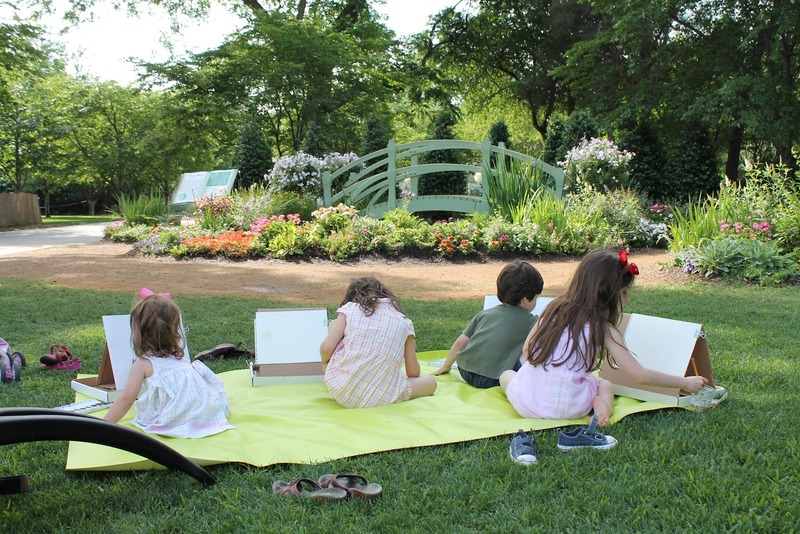 The Costantino Family Favorites Art to Go tote will debut in early summer. Be sure to check it out and see what fun activities the kids came up with! Last month, Melissa and I made touring tote bags for Hannah and Jessica to thank them for all of their hard work thus far as our interns. I also made a bag for Loryn, who probably spends more time than anyone touring in the galleries. Melissa and I both sew, so we set aside an evening to whip up the tote bags for everyone. Of course, after we saw the finished products, we wanted to make them for ourselves, too! 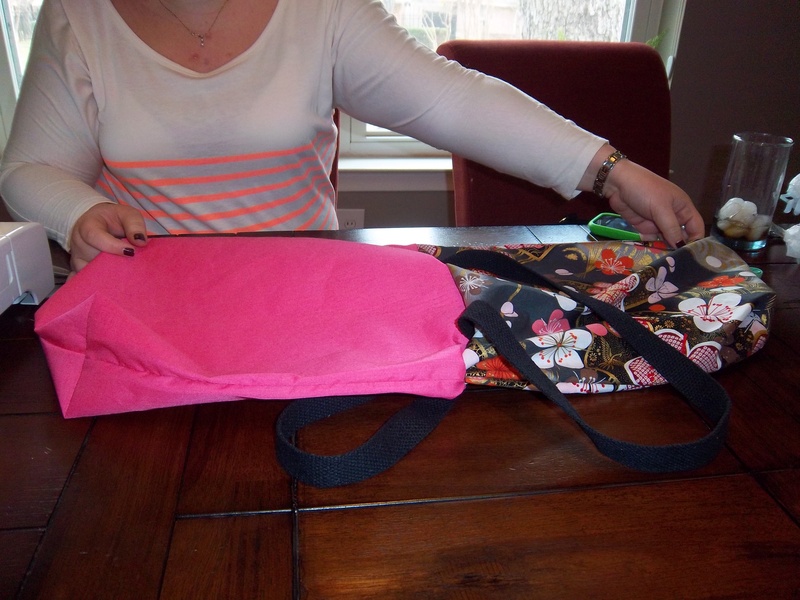 Below is a tutorial to make your own DMA Teaching Programs touring tote bag. I have included photographs for many of the steps — sometimes it’s easier to follow the photos than the words on a sewing tutorial. Step One: Cut two rectangles measuring 22 inches by 17 inches from your exterior fabric AND from your lining fabric. 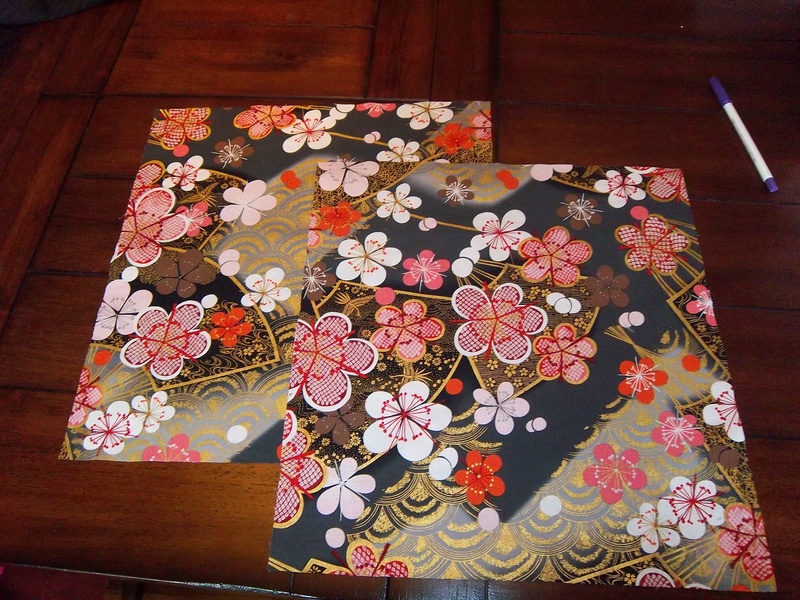 You’ll also need to cut two 22 x 17 rectangles from your fusible interfacing. Step Two: Iron the fusible interfacing to the wrong side of your lining fabric. This will give your tote bag some stability and make it sturdy for carrying paper, pencils, books, etc. Step Three: With the right sides facing each other, pin your two exterior panels together along the side seams and along the bottom. You’ll leave the top open. Stitch together using a 1/2 inch seam allowance. Step Five: On your bag exterior, measure and mark a line on each side seam three inches from the bottom of the bag; this will help you square the corners of the tote. 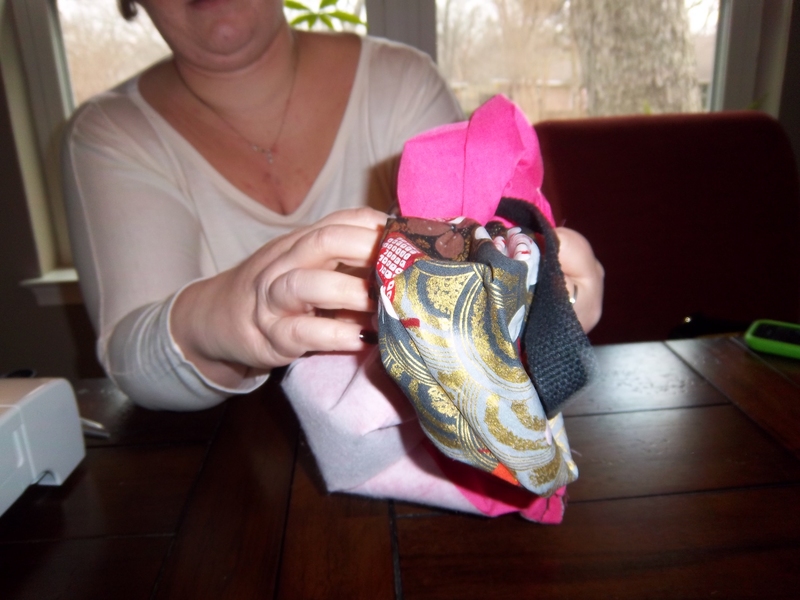 Put your hand inside the bag and pull the corner out, turning it into a triangle. Stitch a horizontal line across the triangle where you made your pen mark. After you’re done, cut the triangle off to eliminate any bulk from your corners (be sure not to cut too close to the seam). 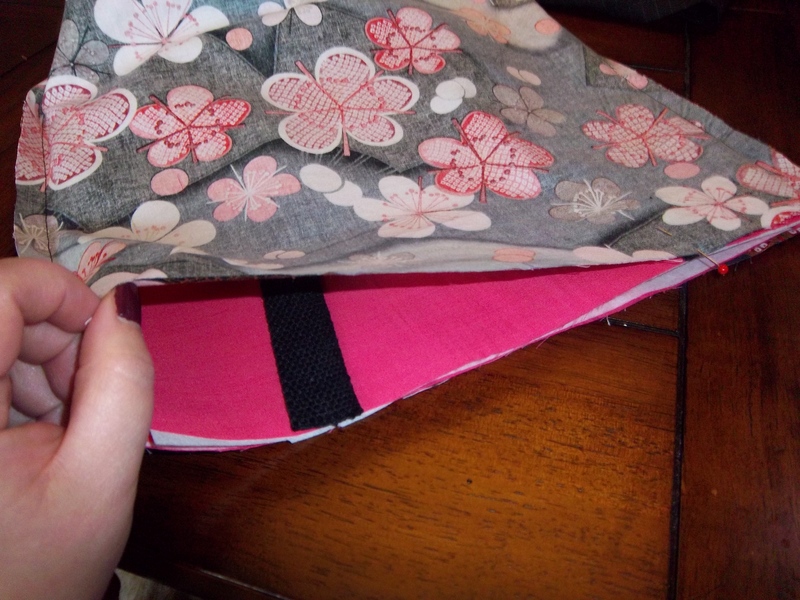 You’ll follow this step on each of the bottom corners of the exterior and lining of your bag. Step Six: It’s time to attach your straps to the bag. Take your 1 1/2 yards of webbing and cut it in half, leaving your 3/4 yard for each strap. Find the center point of your exterior bag. Mark two lines four inches on either side of that center point and pin your handles in place. You’ll want to pin the handle to the right side of your lining fabric. Step Seven: Make sure your exterior fabric is facing right-side in. 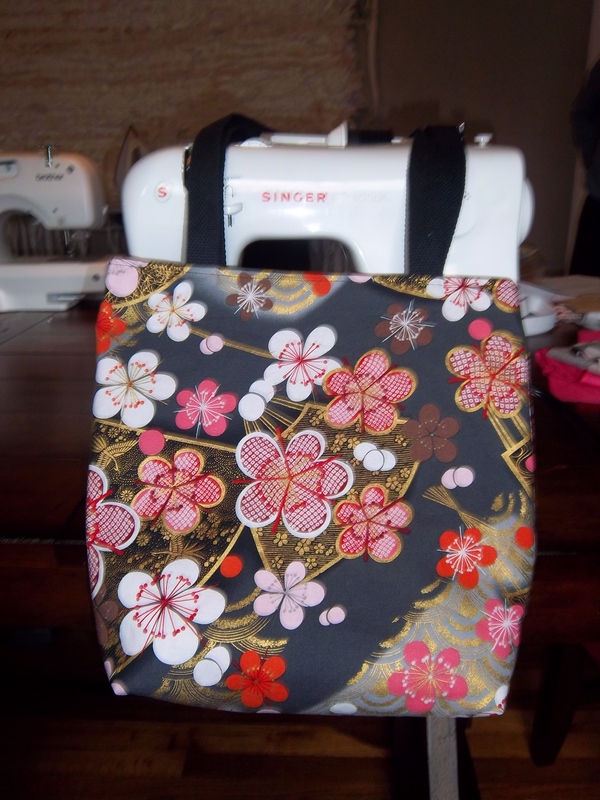 Turn your lining fabric right-side out and insert into the exterior tote pocket. 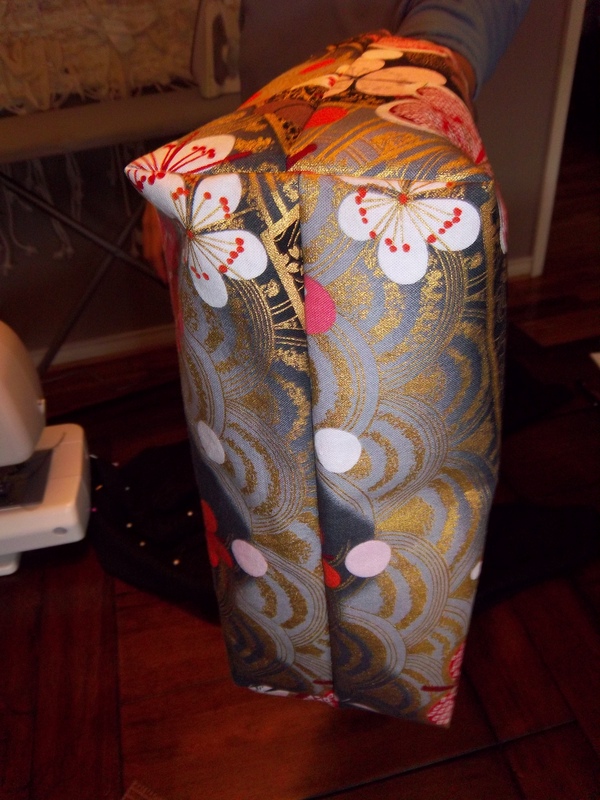 Be sure that your side seams are matched up. Pin both pieces together all the way around (make sure you include the handles in your pinning). 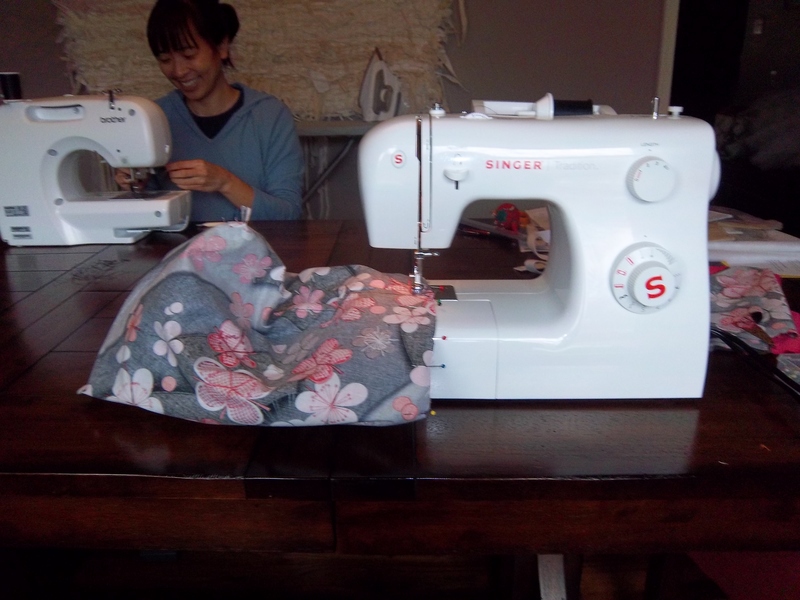 Using a 1/2 inch seam allowance, stitch all the way around your bag. I recommend going back and sewing a second time over your handles–this will help reinforce the handles and keep them from pulling out of the tote. Step Eight: Find the hole that you left in your lining fabric. This is how you’re going to turn your bag right-side out. Pull the entire bag, including the handles, through that gap. 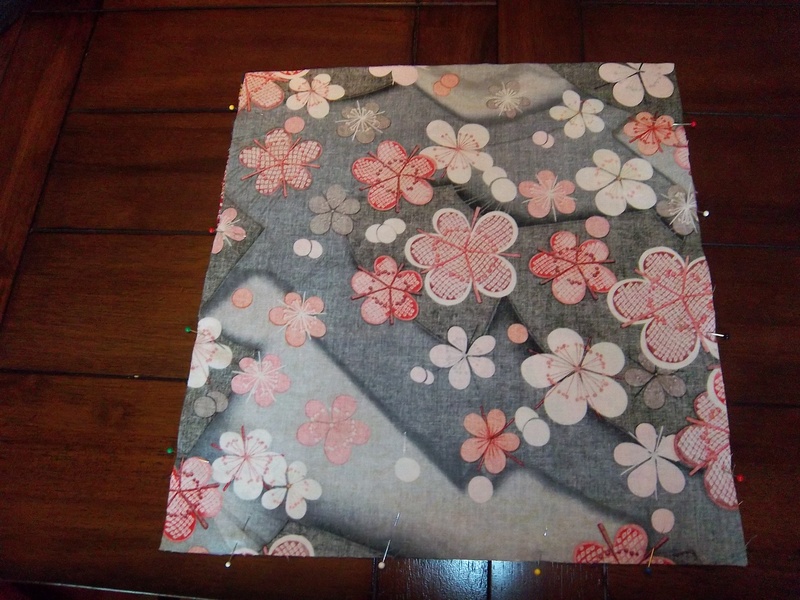 Step Nine: Tuck your lining fabric into the exterior of the tote bag. You’ll want to be sure that your corners are nice and square, too. Once everything is in place, you might decide that you want to topstitch your tote to give it a finished look. 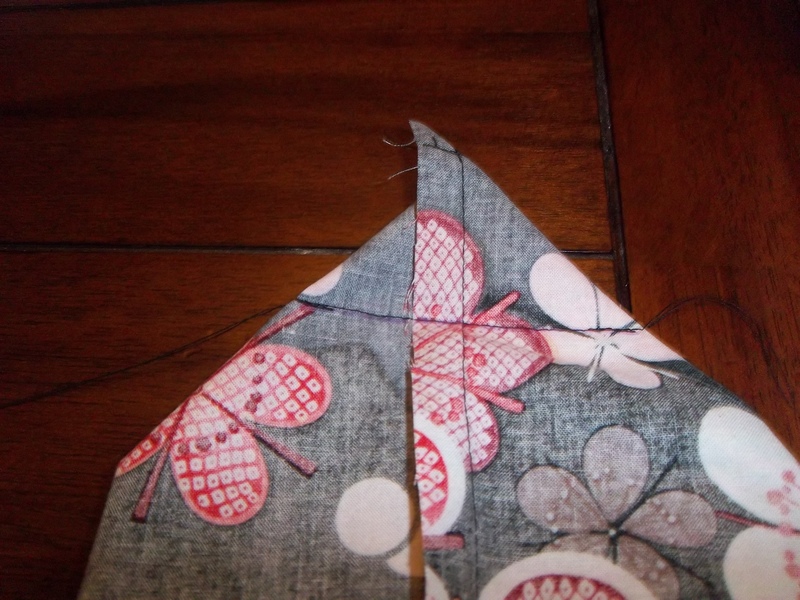 Step Ten: Use a needle and thread to stitch the hole in the bottom of your tote bag closed. Once that’s finished, you’re ready to go. 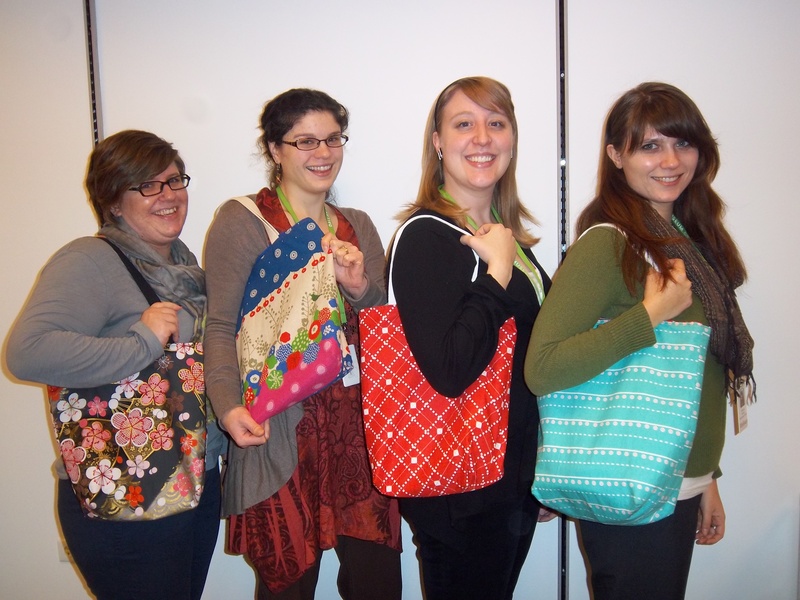 Here we are with our finished touring totes. They’re sew cute!